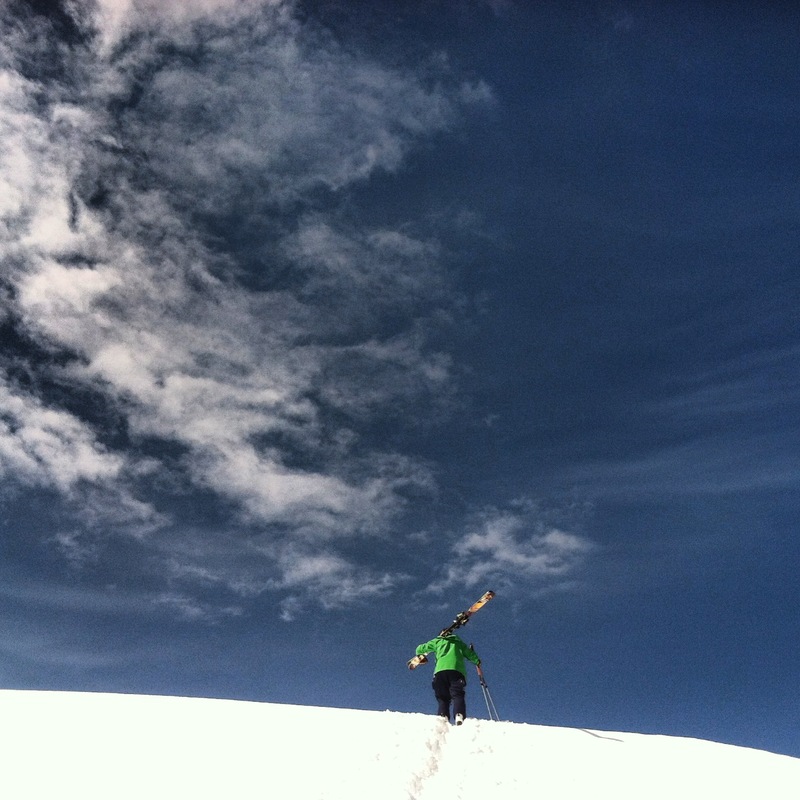 Earning it is an art at Alta Ski Area. 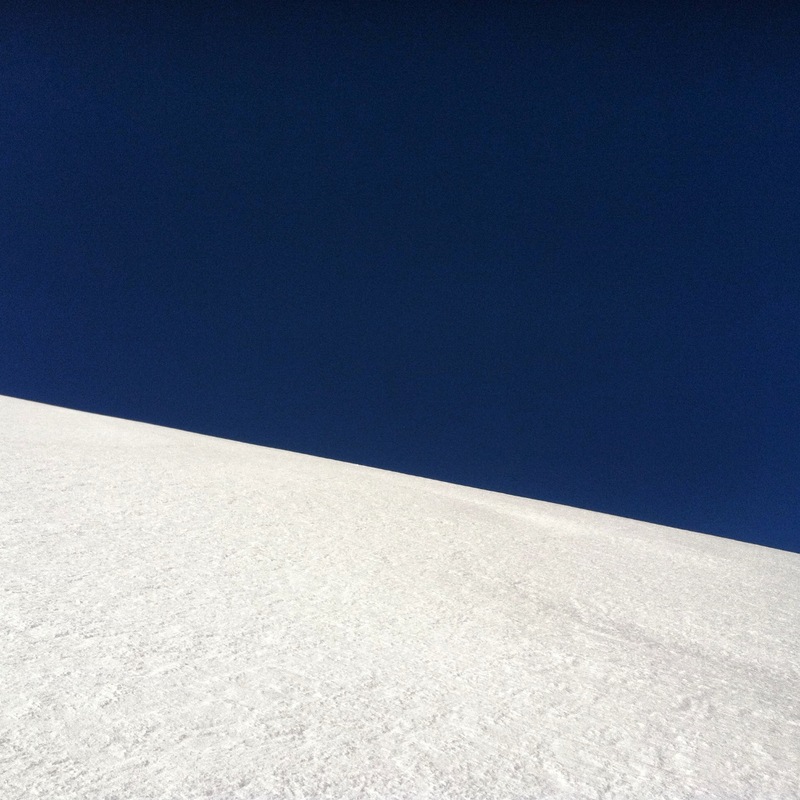 And while the “earning” part of this phrase takes many forms – traversing, side stepping, boot packing – the “it” means only one thing – fresh, untracked snow. 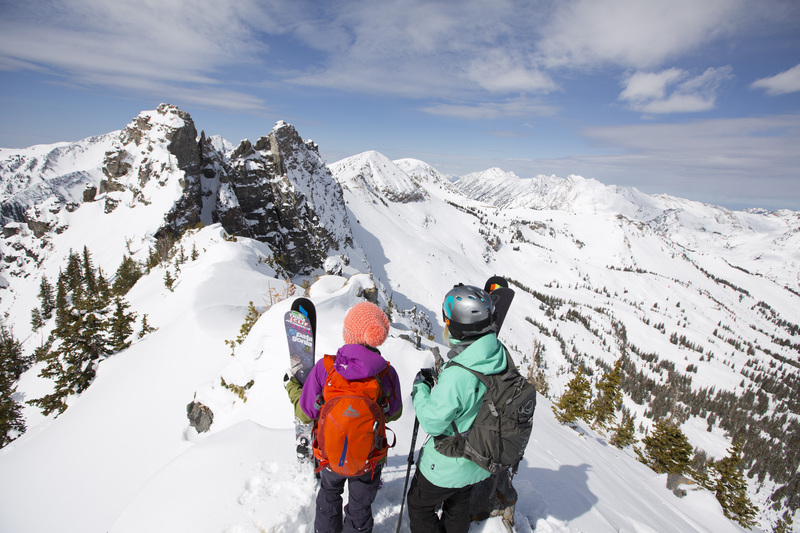 Perched at the top of Little Cottonwood Canyon and annually coated in 500″ of the “Greatest Snow on Earth,” Alta offers 2,200 acres of some of the best skiable terrain in North America. From Baldy Shoulder off of the top of Wildcat Chair to East Castle off of Supreme Chair, signature stashes call out to skiers promising first tracks and guaranteeing snow in their face. So, why isn’t all of Alta tracked all of the time? The answer can be found in an old Alta adage – “Ain’t no side step like an Alta side step.” Translation: You gotta earn it and it ain’t easy. Every resort has its own hikes. 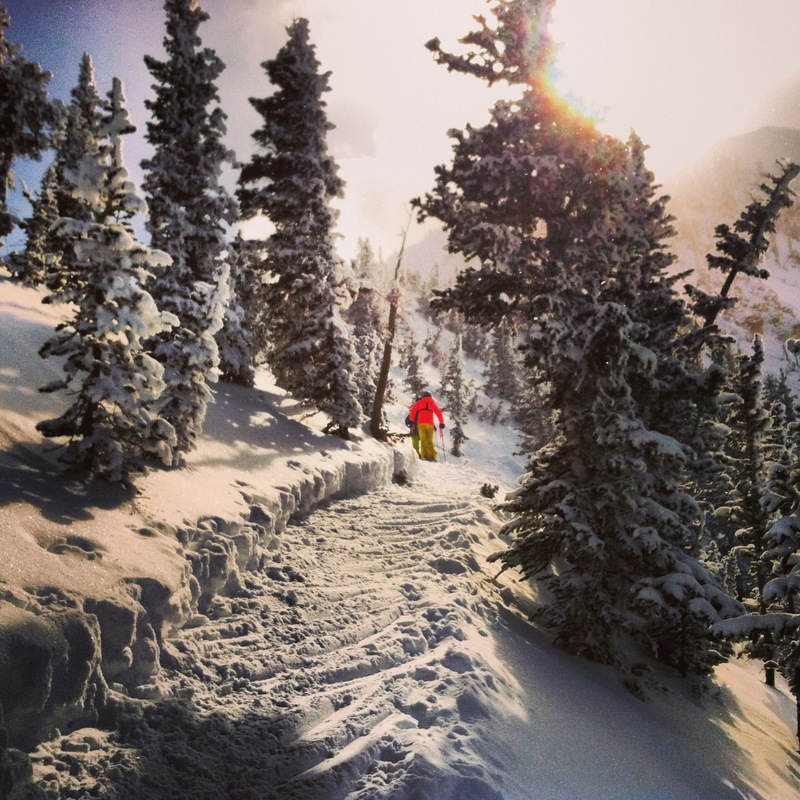 Yet no other resort requires its skiers “earn it” quite like Alta does. Baldy’s Main Chute and Little Chute, require a sturdy bootpack that tops out at 11,500 feet in elevation. Devil’s Castle asks skiers to to participate in the traverse side step combo move. At 30+ minutes, East Castle offers up what might be the longest side step in North America. The best of the Backside is only accessible via a side step-traverse-side step-traverse. Gunsight, Eddie’s High Nowhere, the list goes on . . . While this may turn off some skiers, it’s the reason many, including myself, love skiing at Alta. If you don’t like what’s downhill from the tips of your skis . . . just go farther. Some will call it quits too early. Others will make their way into the backcountry. Meanwhile, I’ll be making my way to the inbounds goods. Believe me, the payoff at the end is well worth the pain in the present. George Jedenoff is 95 years old. His voice, a smooth mix of confidence and experience that could only come from life fully lived, has a way of putting you at ease. His eyes are gentle. His skin, weathered from many a day on the slopes, tells the story of what this man loves most – skiing. Coming from most people, this request might seem weird, maybe even presumptuous. But not George. Born in 1917 in Russia, George and his family up and left their homeland for the U.S. via the Trans Siberian Railway at the height of the Russian Revolution. After living and working in the Midwest, George landed in Utah where he decided to take up skiing at the suggestion of Earl Miller, the inventor of releasable bindings. 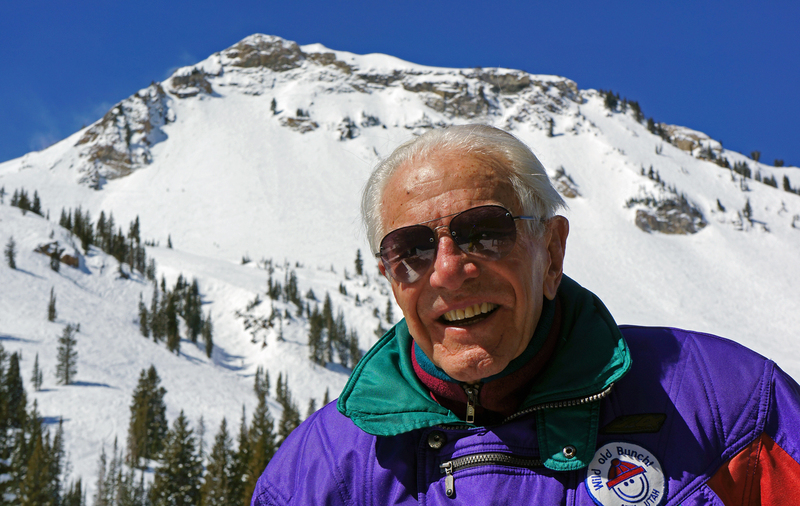 In 1960, at the age of 43, George skied at Alta for the first time, starting a lifelong love affair with the sport of skiing and Alta Ski Area. From taking lessons and learning the art of skiing from Alf Engen to becoming the only lifetime season pass holder in Alta Ski Area history, George has left a unique and memorable mark on Alta both past and present. Riding up the Sugarloaf Chair with George, I got a glimpse at what makes Alta, and the sport of skiing, so special. From favorite runs and gear to historic events and developments, he spoke with a sincerity that I have yet to experience at any time or from any person in my life. I hopped off of the chair, not thinking I could be more inspired and impressed by this man. I was wrong. Should I ski slow? Should I wait? Should I ski behind him? All of these questions were put to rest as George dropped into the run carving confident, text book, parallel turns. On piste and off piste, George’s technique and energy blew me away. With a smile on his face the whole run, George showed me that no matter how old you are, or how long you’ve been skiing, that loving what you are doing is what matters most. I don’t know if I’m going to be skiing when I’m 95. Hell, I don’t even know if I’ll live to reach that ripe old age. But I do know one thing – I will never take a day of skiing for granted again. Rain, snow or shine, I will click into my skis with a smile on my face, thankful for the chance to be doing something I love. As you can see, I ended up getting my photo of George. And while my photo gives you a glimpse at the man, the folks from Ski Utah were able put together this great edit that gives you a glimpse at the person. Enjoy.